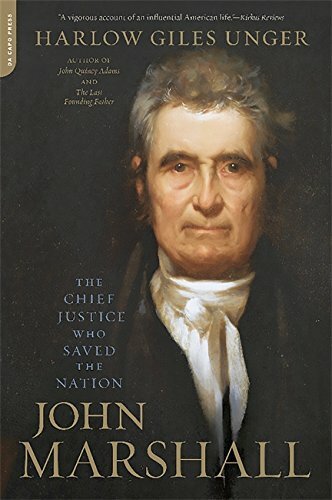 John Marshall was the Father of the American Judicial System. While he did not create the position of Chief Justice of the Supreme Court, he certainly defined it. John Marshall served five years in the Continental Army before studying law at the College of William and Mary. He excelled in this field and as his practice began to flourish he was elected to the Virginia House of Delegates. Marshall’s reputation grew considerably after he participated in the Virginia Supreme Court case of Hite v. Fairfax. John would attend the Virginia Ratifying Convention where he worked with James Madison in support of the Constitution. He supported the Federalist Party despite Virginia being overwhelmingly Democratic-Republican. By 1795, Marshall’s popularity had grown enough that President Washington attempted to appoint him as Attorney General of the United States. However, he declined this position as well as that of Minister to France. During the Presidency of John Adams, Marshall was sent with Charles Coatesworth Pinckney and Elbridge Gerry to France. They were to discuss American ships that had been taken by the French during their Revolution. In what became known as the XYZ Affair, the French ministers tried to bribe the Americans, and Marshall promptly returned home. This led to a Quasi-War with France. Marshall became a hero to many and, against his wishes, he was elected to the House of Representatives. Eventually, he was appointed Secretary of State by Adams. In this position, Marshall led the Americans through the Convention of 1800, which ended the Quasi-War. During the lame duck session between the end of Adam’s Presidency and the beginning of Thomas Jefferson’s, the Federalists who controlled Congress passed the Midnight Judges Act. This was one of the first partisan laws in American History. The goal was to add judicial positions across the country and pack them with Federalists. Additionally, Chief Justice Oliver Ellsworth was in poor health and decided to retire. Adams initially asked former Chief Justice John Jay to return to the Supreme Court. Jay, who was Governor of New York at the time, declined. Jay’s letter did not arrive until the last minute. In a rush to put a Federalist in this seat, Adams asked John Marshall to take the position. This seems to be due mostly to the fact that Marshall was in the room at the time. Marshall accepted and was appointed Chief Justice of the United States by the following week. Marshall would sit as Chief Justice for the next 34 years. As the Federalist Party died out, Marshall continued their policies through the administrations of Jefferson, James Madison, James Monroe, John Quincy Adams, and Andrew Jackson. John Marshall’s influence on American Government is overwhelming. He is the reason the Supreme Court is truly viewed as the third branch of the government as opposed to an inferior tool for resolving disputes. Marshall’s rulings, most importantly, have given us judicial review, which allows the Supreme Court to decide if laws are constitutional or not. And to think, America’s most notable Chief Justice was appointed as a dark horse candidate in a dirty political maneuver. For a new Founder sent to your inbox every day, please subscribe to our email list. 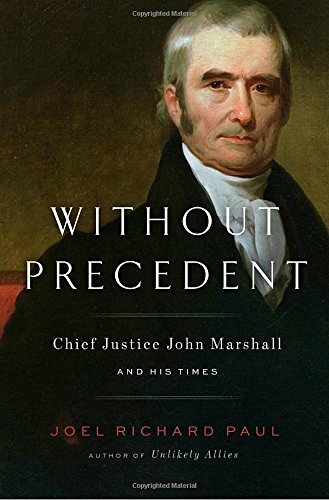 If you'd like to know more about John Marshall, please check out of these books we recommended. The links take you to Amazon whom we affiliate with because they are the Internet's most trusted retailer.